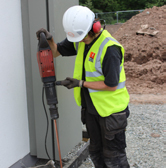 The Electricity at Work Regulations 1989 require that a lightning protection systems are regularly tested in accordance with BS6651:1999 or IEC 62305:2011. To gain the most from your investment and ensure that the Lightning Protection system installed on the structure is fit for purpose BSEN 62305 ‘Protection Against Lightning’ states that Lightning Protection Systems should be visually inspected, tested and maintained on a regular basis. 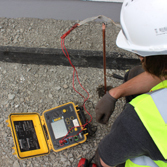 During an inspection our highly trained engineers will check that the lightning protection system is in a sound electrical and mechanical state, reporting any defects and taking note of any new items of plant or metal work that requires incorporating into the system. Our comprehensive inspection will outline all readings and any defects such as storm damage to roof tapes & fixings, making sure all cross bonds to metal work and plant are secure and that there is an acceptable level of continuity throughout all mechanical joints and bonds. Each of the systems’ down conductors are checked for continuity throughout the entire length and fixings checked. 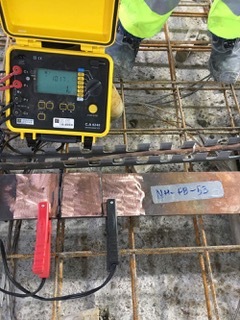 Each earth electrode is tested and the results recorded and logged. On completion of inspection, we shall provide a full detailed report and certificate to suit the system installation standard & condition.